Update April 12, 2018: five weeks after its release, Vermintide 2 has broken six figures in sales. All of those sales have been on PC, too, as Vermintide 2 has yet to have its console launch. It would be a strong performance even by triple-A standards, but for developers Fatshark, it’s an absolute triumph. Check out our guide to Vermintide 2 careers and classes. For comparison, the original Vermintide managed to shift two million units in roughly as many years, but only after a lot of hard polishing, content support, and the little matter of a console launch. If you’re enjoying Vermintide 2, it’s probably safe to say Fatshark will keep supporting it for alongtime. Update March 20, 2018:Warhammer: Vermintide 2 is selling really, really well. Less than two weeks after its release on March 8th, the rat-slaying sequel has already made more revenue than the original game did in its lifetime. And that’s counting the original’s PlayStation 4 and Xbox One sales, whereas Vermintide 2 is only on PC right now. 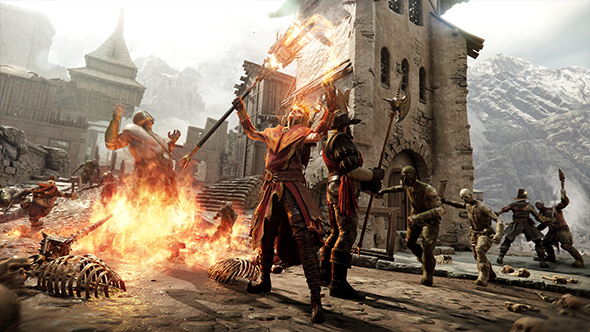 The original Vermintide was a slow burn, but more than two years of hard work by the devs in fixing stability issues and polishing the gameplay loop were eventually rewarded with a loyal following and two million sales. Original story March 12, 2018:Warhammer: Vermintide 2 launched on Steam last week, and it seems that people are into it – at least half-a-million of them, in fact. Developers Fatshark have announced that the game’s already sold 500,000 copies, just four days after release. By comparison, the original Vermintide took two years to sell two million copies. Even if the strongest sales surge comes in a game’s launch window, the new sequel is already well on track to outdo its predecessor. For a handy bit of comparison, SteamSpy shows Vermintide 2 hovering at just over 400,000 owners, with data that apears to be a day or two behind. According to Steam Charts, the game peaked at 73,203 players yesterday, and player counts have ranged from there to a minimum of 25,000 since launch. It’s been a successful launch by any metric, and Vermintide 2 is currently only available on PC, so expect those numbers to get even bigger once the PlayStation 4 and Xbox One versions have hit shelves.